MILTON — Small business owners today face many obstacles to their success, from rising office supply costs to the health of the economy. T-Ross Brothers Construction feels strongly about the success of local businesses in our communities. 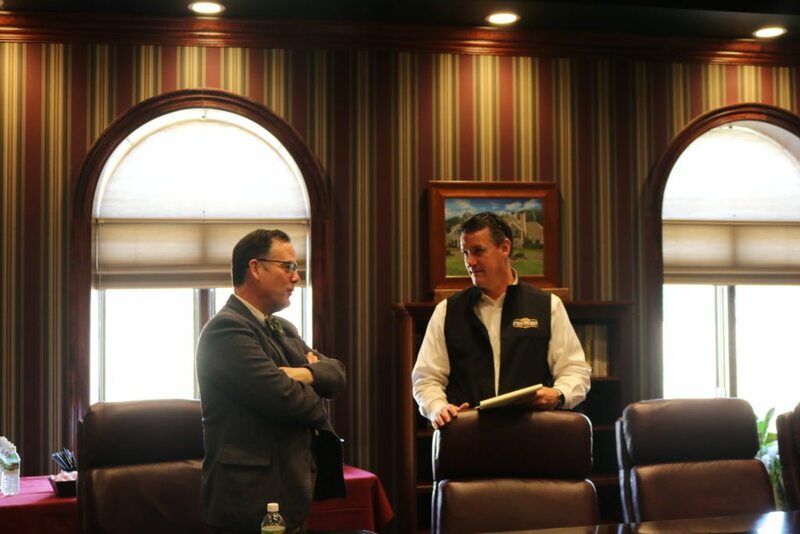 Robert DeSousa, State Director for United States Senator Pat Toomey, visited Milton today and sat down with Todd Ross, president of T-Ross Brothers Construction Inc., as well as other area business leaders, to discuss challenges that small business owners are facing. The business owners talked with DeSousa about healthcare costs and changes to healthcare regulations. Business owners agree uncertainty about the future direction of healthcare prevents them from planning ahead for potential rising costs. Wage rates, tax reform and rising interest rates were also topics that were touched on. DeSousa will be the guest speaker at a Legislative Breakfast on Friday, hosted by the Central Pennsylvania Chamber of Commerce and the Greater Susquehanna Valley Chamber of Commerce. T-Ross Brothers Construction is a major sponsor for that event, being held at the Country Cupboard in Lewisburg. The post T-Ross Brothers Construction hosts discussion on challenges small businesses face appeared first on T-Ross Brothers Construction, Inc..